Double Meaning Odia Shayari in Odia language. Here you can find a list of double meaning shayari from Different films, Jatra and dialogue by famous actors of Odisha. 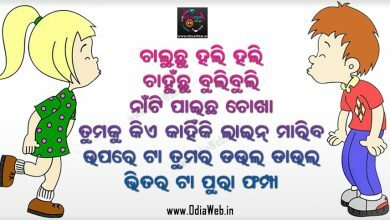 Share this funny odia shayari with your friends and enjoy.